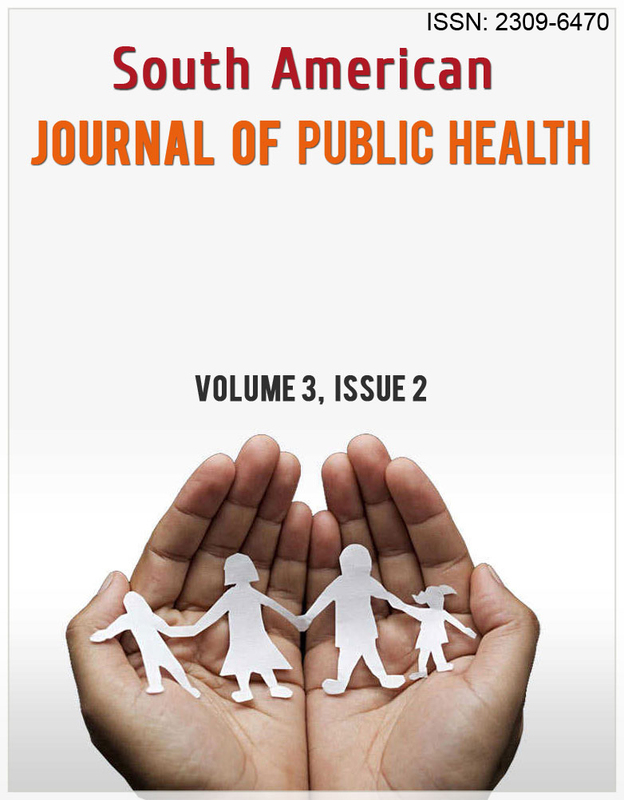 South American Journal of Public Health publishes original papers, reviews and short reports on all aspects of the science, philosophy, and practice of public health. This journal of Public Health talks about the prevalence of Malaria Infection among students in parts of Nigeria, prevalence and factors associated with Obesity among pensioners in Ghana, various issues and health related, language barriers contribute to health disparities among ethnic and racial minorities, diseases that cause unlimited death among people. Each article present in this journal covers all the aspect of health related diseases and even the latest aspects involved in being healthy. A cross sectional study on the prevalence of malaria infection among secondary school students in Oba Idemil South Local Government Area Anambra State, Nigeria was carried out between January and April 2009. A total of 300 students (161 males and 139 females) were involved in the study. Venous blood containing Ethylene Diamine Tetra acetic Acid (EDTA) of the 300 students was screened for malaria parasites using Giemsa-stained thick and thin blood films. Of the 300 blood samples examined, 31 (10.3%) were positive for malaria parasite. Plasmodium falciparum was identified in all the positive cases. Prevalence rate of 16 (9.9%) was recorded in males while prevalence rate in females was 15 (10.8%); this difference was not statistically significant (p=0.809, p> 0.05). The private schools recorded a higher prevalence 23(13.5%) than the public schools 8(6.2%); this difference was statistically significant (p=0.026, p< 0.05). The findings of this study emphasize the need for health education in school, churches and community in order to control malaria in the area. KEYWORDS Malaria, prevalence, Secondary school, students. 1. AHMED, S.G., IBRAHIM, U.A. AND IBRAHIM, G. 2001. Prevalence and clinical significance of malaria parasitaemia in blood donors in Maiduguri, Nigeria. Nigerian Journal of parasitology, 22 (1and 2): 29-34. 2. ARIBODOR, D.N., NJOKU, O.O., ENEANYA, C.I. AND ONYALI, I.O. 2003. Studies on the Prevalence of malaria and management practices of Azia Community in Ihiala L.G.A. Nigerian Journal of Parasitology vol. 24, 33-38. 3. ARIBODOR, D.N. ; NWAORGU, O.C. ; ENEANYA, C.I. ; AND ARIBODOR, O.B. 2007. 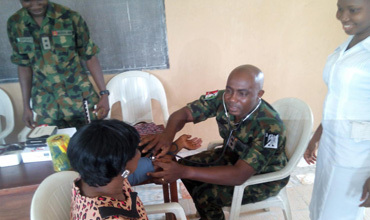 Malaria among Primigravid women attending Antenatal clinics in Awka Anambra State Nigeria. The Nigerian Journal of Parasitology vol. 28 (1): 25-27. 4. De SAVIGNY D., MAYOMBANA C., MWAGENI E., MASANJA H., MINHAJ A., MKILINDI Y., MBUYA C., KASALE, H., AND REID G. 2004. Care-seeking patterns for fatal malaria in Tanzania. Malar J, 3:27. 5. ENEANYA, C.I. 1998. Seasonal variation in malaria episodes among residents in Udi, a semi urban community in South East Nigeria. Nigerian Journal of Parasitology vol. 19, 39-43. 6. FLECK, S.L. AND MOODY, A.H. 1988. Characteristics of malaria parasites in; Diagnostic Techniques in Medical Parasitology, 1st edition , Butterworth publishers, London, 5-15. 7. KOCHAR, D.K. ; THANYI, L.; JOSHI, A.; AGARWAL, N. AND JAIN, N. 1999. Mortality Trends in Falciparum malaria. Effect on gender differences and pregnancy. Journal of Association of Physiol. India (47):774-778. 8. MBANEFO, E.C, OGOLO, B.A, OBI, P.C, OTIJI .M.O. AND ENEANYA, C.I. 2009. Effect of Intermittent Preventive Treatment (IPT) of malaria during pregnancy using Sulfadoxine and Pyrimethamine (SP) on neonatal birth weight in Anambra State, South East Nigeria. J. of Scientific and Industrial Studies, vol, 7:2. 9. MBANUGO, J.I. AND EMENALO, S.E. 2004. Prevalence of malaria parasitaemia among blood donors in Owerri, Imo State. Nigerian Journal of Parasitology 25:81-85. 10. MERMIN, J., EKWEANU, J.P., LIECHTY, C.A., WERE, W., DOWNING, R., RANSON, R., WEIDLE, P., LULE, J. AND COUTINHO, A. 2006. Effect of cotrimoxazole prophylaxis, antiretroviral therapy and insecticide treated bednets on the frequency of malaria in HIV infected adults in Uganda; a prospective cohort study. Lancet; 367:1256-61. 11. SHERMAN, I.W. 1998. A brief history of malaria and discovery of the parasite’s life cycle. In. I.W Sherman (ed. ), malaria: Parasite Biology, Pathologenesis and Protection, ASM Press, Washington, D.C.
12. SNOW, R.W., GUERRA, C.A., NOOR, A.M., MYINT, H.Y. AND HAY, S.I. 2005. The global distribution of clinical episodes of Plasmodium falciparum malaria. Nature 434 (7030): 214–7. 13. STEKETEE, R.W. ;WIRIMA, J.J. AND CAMPBELL, C. 1996. The burden of malaria in pregnancy in malaria endemic areas. Am J Trop Med Hyg, 64(1-2Suppl):28-53. 16. UKPAI, O.M. AND AJOLU, E.I. 2001. The prevalence of malaria in Okigwe and Owerri areas of Imo State. Nigerian Journal of Parasitology. 22(1and 2) 43-48. 18. UNICEF .2004. Malaria a major cause of child death and poverty in Africa. United Nations Children’s fund (UNICEF), New York. 19. VALLEY, A.; VALLEY, L.; CHANGALUCHA, J.; GREENWOOD, B. AND CHANDRAMOHAN, D. 2007. Intermittent preventive treatment for malaria in pregnancy in Africa: What’s new, What’s needed . Malaria Journal 2007, 6:16. 20. WHO. 2004. A strategic framework for malaria prevention and control in African region. WHO document. AFR/MAL/04/01:1-3. 21. WHO. 2007. WHO Fact sheet No. 94, May 2007 http://www.who.int/mediacentre/factsheets/fs094/en/. A cross-sectional studies was conducted among 401 pensioners using questionnaires and physical examination and laboratory examination of blood samples in the eastern regional capital of Ghana. Cross tabulations were used to obtain the prevalence of obesity and overweight. 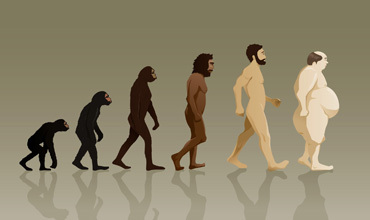 Logistic regression was carried out to find out factors associated with obesity and overweight. The prevalence of obesity among pensioners was 14.2%. Females were more likely to be obese with prevalence of 35.4% for female and 4.4% for males (p-value <0.001). Age, Social class, current marital status and highest educational level were socio-demographic factors associated with obesity/overweight. Hypertension, diabetes, serum total cholesterol, serum Low-density lipoprotein, serum triglyceride and use of eyeglasses were medical factors associated with obesity. Obesity and overweight are associated with medical conditions even in the elderly population. Reducing obesity must start before pension. 1. Abubakari AR, Lauder W, Agyemang C, Jones M, Kirk A, Bhopal RS. Prevalence and time trends in obesity among adult West African populations: a meta-analysis. Obes Rev. 2008 Jul;9(4):297–311. 2. Biritwum R, Gyapong J, Mensah G. The Epidemiology of Obesity in Ghana. Ghana Med J. 2005 Sep;39(3):82–5. 3. Debpuur C, Welaga P, Wak G, Hodgson A. Self-reported health and functional limitations among older people in the Kassena-Nankana District, Ghana. Glob Health Action. 2010;3(Suppl 2):54Á63. 4. El Kishawi RR, Soo KL, Abed YA, Muda WA. Obesity and overweight: prevalence and associated socio demographic factors among mothers in three different areas in the Gaza Strip-Palestine: a cross-sectional study. BMC Obes. 2014;1(1):7. 5. Elia M. Obesity in the Elderly. Obes Res. 2001 Nov 1;9(S11):244S – 248S. 6. Finkelstein EA, Fiebelkorn IC, Wang G, others. National medical spending attributable to overweight and obesity: how much, and who’s paying? Health Aff-MILLWOOD VA THEN BETHESDA MA-. 2003;22(3; SUPP):W3–219. 8. Flegal KM, Graubard BI, Williamson DF, Gail MH. Excess deaths associated with underweight, overweight, and obesity. Jama. 2005;293(15):1861–7. 9. Ghana Statistical service. 2010 population and housing census final results. Ghana Statistical service; 2010. 10. Ghana Statistical service. The Elderly in Ghana, 2010 population and housing census report. Ghana: GSS; 2013. 11. Giuli C, Papa R, Bevilacqua R, Felici E, Gagliardi C, Marcellini F, et al. Correlates of perceived health related quality of life in obese, overweight and normal weight older adults: an observational study. BMC Public Health. 2014;14(1):35. 12. Han TS, Lee DM, Lean MEJ, Finn JD, O’Neill TW, Bartfai G, et al. Associations of obesity with socioeconomic and lifestyle factors in middle-aged and elderly men: European Male Aging Study (EMAS). Eur J Endocrinol. 2015;172(1):59–67. 15. Zamboni M, Mazzali G, Zoico E, Harris TB, Meigs JB, Di Francesco V, et al. Health consequences of obesity in the elderly: a review of four unresolved questions. Int J Obes. 2005;29(9):1011–29. The public health campaign on the need for people to undertake physical activity (PA) as a primary way of preventing chronic health problems such as diabetes mellitus, obesity and cardiovascular diseases can be sustained through intensive counseling of patients/clients by health care providers who are vast in the practice of PA.
To assess the knowledge, attitude and practice of PA among health professionals at the Federal Medical Centre (FMC), Owo, Nigeria. One hundred and three (103) health professionals (HP) working at the FMC, among whom 24.3%, 22.3% and 19.4% are Medical/Dental Practitioners, Medical Laboratory Scientists, and Nurses respectively participated in the study. They were required to complete a 22 item closed-ended questionnaire which was self-administered. Frequencies and percentages of proportion of respondents were computed, data were also summarized in pie charts. 78(75.73%) respondents were found to have awareness of the health benefits of PA, 93 (90.29%) believed they were physically fit, 67(65.05%) were able to adequately define physical fitness, while 79(76.70%) professionals have counseled patients/clients about the health benefits of physical exercises. However, only 25 (24.27%) know the true parameters for assessing physical fitness. The knowledge of the sampled HPs about PA appears poor, although their attitude is positive. There is need for health care givers to be exposed to educative measures that will enrich their knowledge of PA and how to achieve optimal fitness level through PA.
3. Eapen D, Kalra GL, Mercharnt N, Arora A, Khan BV (2009): Metabolic syndrome and cardiovascular disease in South Asians. Vasc Health Risk Manag 5:731–743. 4. Gill JMR, Malkova D (2006): Physical activity, fitness and cardiovascular disease risk in adults: interactions with insulin resistance and obesity. Clin Sci 110:409–425. 7. U.S. Preventive Services Task Force. (USPSTF). (2003). Behavioural counselling in primary care to promote physical activity: Recommendation and rationale. American Journal of Nursing, 103(4): 101-107. 8. Williams ED, Stamatakis E, Chandola T, Hamer M (2010): Physical activity behaviour and coronary heart disease mortality among South Asian people in the UK: an observational longitudinal study. Heart 97:655–659. 9. Wilson, D. and Ciliska, D. (1992). Family physicians and exercise counselling; Can they be influenced to provide more? Canadian Family Physician, 38: 2003. Study to determine factors contributing to non-adherence Medical Ethics by health workers. Why are health personnel not adhering to Medical Ethics? There are no factors influencing non-adherence to medical ethics. The study was conducted at Ndola central hospital which is a 3rd level referral hospital as well as a teaching hospital. A non- interventional descriptive study was done. Health care providers were randomly sampled from the departments at Ndola central hospital. Random selection was done using an existing sampling frame (list of health care providers in each department). Study unit was drawn using simple random probability sampling, all the health care providers from different departments were listed and numbers were assigned to each name. These numbers were picked and were compared to the list. Names against those numbers were picked and were included in the sample. Quantitative data was collected using a self-administered structured questionnaire. Prior to data collection, a formal letter (indicating the title of the study and the objective of the study) was written and submitted to the senior medical superintendent who is the head of the institution at which the study was conducted. Before collecting any data, permission was sort from the participants. They were at liberty either to agree or refuse to take part in the study or not. On the basis of the findings derived from this study, it is obvious that a lot of factors contributing to non-adherence to medical ethics emanated from this study. The identified factors contributing to non-adherence to medical ethics among health workers at Ndola central Hospital were: Health workers feel they know what is good for the patient and not clients 95%, patients not provided with information 50%, Lack of alternative remedy in some instances 65%, Some conditions like STIs spouse should be aware 90%, Shortage of essential drugs and supplies 60%. The fact that there are factors impeding on adherence, quality of service may be compromised because quality of health service delivery in the country ought to be enhanced through adherence to medical ethics by health workers. After all, adherence to medical ethics by health workers is one of the most critical aspects of quality health service delivery in any country. Indeed, non-adherence to medical ethics affects not only the way through which health workers interact with health service users, but also the quality of health service delivered as it hinders the later from accessing better health services. Ethical standards promote the values that are essential to good communication; in turn patients can have confidence, even reciprocal reverence and unbiased medical care. 2. Aroskar, M. Exploring Ethical Terrain in Public Health. 1999. Journal of Public Health Administration Management and Practice. 1(3):16-22. 4. Beyrer, C., and H. F. Pizer, (eds. ), 2007, Public Health and Human Rights: Evidence-Based Approaches, Baltimore, MD: JHU Press. 8. Getu Degu & Tegbar Yigzaw University of Gondar In collaboration with the Ethiopia Public Health Training Initiative, The Carter Center, the Ethiopia Ministry of Health, and the Ethiopia Ministry of Education, 2006. 11. Institute of Medicine (1988). The Future of Public Health. Washington, DC: National Academy Press. 16. Powers, M., and R. Faden, 2006, Social Justice, New York: Oxford University Press. 17. Powers, M., R. Faden, and Y. Saghai, 2012, “Liberty, Mill, and the Framework of Public Health Ethics,” Public Health Ethics, 5 (1): 6–15. 18. Public Health Ethics-plato.stanford.edu/enties/public health ethics www.publichealthlaw.net/reader). 20. Ryan CJ (2010). 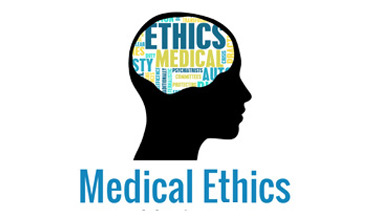 "Ethical issues, part 2: ethics, psychiatry, and end-of-life issues". Psychiatry Times27 (6): 26–27. 21. Sikika (2012) Health care workers’ adherence to professional ethics a score card report on the experience from45 health facilities in six districts of Tanzania mainland. 22. Tassano, Fabian. The Power of Life or Death: Medical Coercion and the Euthanasia Debate. Foreword by Thomas Szasz, MD. London: Duckworth, 1995. Oxford: Oxford Forum, 1999. 23. UNESCO. Universal Declaration on Bioethics and Human Rights. Adopted by the UNESCO General Conference at Paris, 19 October 2005. Purnia division is an administrative geographical unit of Bihar, state of India. Purnia is the administrative headquarters of the division. Hindi is the principal language of the district. However other than that, people in different areas follow different dialects. Maithili is one of the prime dialect/languages spoken in the area. People also speak Surjapuri, Polia, Chhika-Chhiki or Angika and Santhali. In some parts of Purnia, Bangla is also spoken. Hindi is the main language of the district; however, dialects are in vogue in different parts of the district for day-to-day use. People of Amour and Baisa blocks, speak Surjapuri. In the eastern side of Baisi block people speak Polia. Chhika-Chhiki or Angika is spoken in Rupouli and Bhawanipur and some part of Dhamdaha, K.Nagar and Purnia East Block. In Banmankhi, B.Kothi and some part of Dhamdaha. K.Nagar people speak a mix of Maithili and Chhika-Chhiki. Santhali people speak Santhali. In the east and South Baisi block Bangla is also spoken. Out siders speak their own dialects. The purpose of this chapter is to examine how language barriers contribute to health disparities among ethnic and racial minorities Language is the means by which a patient accesses the health care system, learns about services, and makes decisions about her or his health behavior. Language is also the means by which the health care provider accesses a patient’s beliefs about health and illness, and thus creates an opportunity to address and reconcile different belief systems. In essence, communication between nurses and patients is the heart of nursing care. Without effective communication between patients, families and providers, truly adequate healthcare cannot be achieved. Individuals who have difficulty communicating are especially vulnerable in hospital settings where poor communication can lead to unnecessary pain, confusion, medication errors, and even premature death. The study design involved semi structured face-to-face interviews & filling up questionnaire with the nurses & Paramedical Staffs about their routine work environments and activities, the language problems in which they recently had been involved. The themes reported here emerged from inductive analyses of the data. Nurses & Paramedical Staffs reported numerous such incidents occurring daily. Aspects of “communication” and “patient management” were the two most commonly cited contributing factors. Nurses described themselves as embedded in a complex network of relationships, playing a pivotal role in patient management. 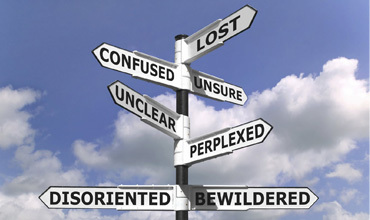 Recurring patterns of communication difficulties occur within these relationships and appear to be associated with the occurrence of confusion. The occurrence of everyday confusion in this study is associated with faulty communication. Communication failures are far more complex and interpersonal power and conflict. A clearer understanding of these dynamics highlights possibilities for appropriate interventions in medical education, training and in health care organizations aimed at improving patient safety. The resources required for open distance learning (ODL) are human, physical, financial, and technological supported by cross cutting issues. 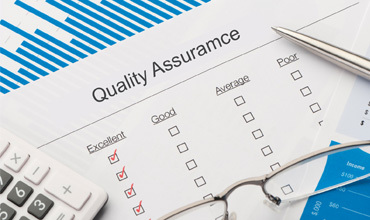 This paper focuses on quality assurance and self-assessment as part of the cross cutting functional areas at Southern University. The Southern University (SU) envisions being a World Class University for the advancement of humanity, serving as a cradle of knowledge and excellence. To achieve this, the University will endeavour to generate and disseminate significant quality knowledge backed by its core values, upholding unbendable and uncompromising standards that contribute to national and global development. 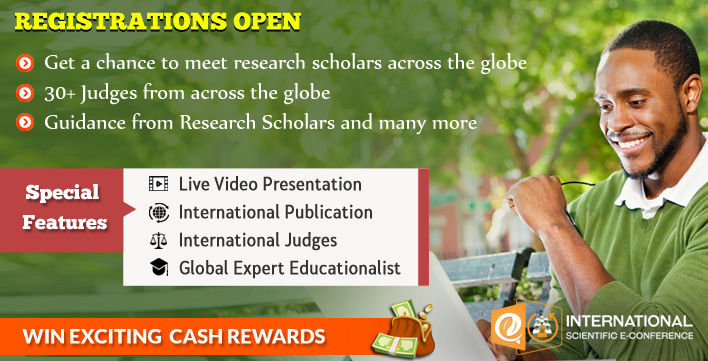 The university`s vision is “To be an icon of academic excellence in all disciplines and natural resource based professions in sub-Saharan Africa”. With the onset of peace in many African countries after many years of instability and insecurity, with the democratization of many African states following decades of totalitarian rule, and following years of corrupt and inept administrations, there is now an acute consciousness of the wasted years of African prosperity. One of the highest casualties of misrule has been education. Education became one of the lowest priorities. Investment in education across the sector diminished. SU like any other Open Distance Learning(ODL) Universities has observed that with peace and democratization in Zambia, there is population growth, rising prosperity, a thirst for knowledge, and a need to bridge the skills gap, all in the context of rising expectations and diminishing resources. For many, however, for whom life circumstances have rendered university attendance a distant dream, have yet another opportunity and this is the reason SU has come into being. 1. Daniel (2005) Extraordinary for ordinary people, Endowment Lecture at Netajisi Subash West Bengal Open University (April 15) Kolkata http://www.col.org/speeches/JDO5O4NSWBOU.htm. 2. Desmukh, A. (2005): Quality enhanced Educational Services. Need for introspection. Paper presented at ICDE International Conference (19-23 Nov), New Delhi. 4. Hopkins, A, G. (2003) ”Frame factors & quality assurance agency in an embryonic Higher Education System” Paper presented at Biennial Conference of the International Net work of Quality Assurance Agencies for Higher Education(INQAAHE) in Dublin 14-17th April,2003. 5. Lockwood, F. (1998).The design and production of self instructional materials London: Kogan page. 6. Muirhead, B. (2000),”Enhancing social interaction in computer-mediated distance Education”. Educational Technology & Society 3(4) 1-11. 7. Olejede, A.A. (2008): Enhancing Quality Assurance in open and distance Learning in Nigeria, paper presented at the fifth pan common wealth Forum on open learning in London 913-17july, 2008). 8. Southern University (SU): Annual Booklet (Bulletin) and Concept paper 2012-2015. Good health is fundamental to improved quality of life, and the goal of promoting the health of rural community dwellers in Nigeria is critical in improving the quality of life of a vast majority of Nigerians who reside in rural communities. The objectives of this study were to determine the purpose for patronage of patent medicine shops; determine the reason(s) for preference for patent medicine shops to local health care centres; review the major challenges of patent medicine sellers or patent and proprietary medicine vendors (PPMVs); ascertain the level of uptake of cases in patent medicine shops compared to health centres; and to proffer a functional policy framework involving the patent and proprietary medicine vendors and shops to improve the quality and access to primary health care especially in rural communities in Nigeria. This cross sectional pilot study made use of questionnaires containing semi structured questions, through direct one-on-one interviews, and information was obtained from both PPMVs and individuals who patronize their shops. This study was done in four rural communities of Delta State, Nigeria. Two major primary data sets and a secondary data set were generated. The Statistical Package for Social Sciences (SPSS) version 21 for windows software was used for analysis and a descriptive presentation of the data was given. From a total of 51 patent medicine shop users, 21 (41.2%) males and 30 (58.8%), females, with mean age of 30.2 years, 35 (70.5%) patronize PPMVs to buy medicine, while 14 (27.5%) went for consultation and just one person went to buy condom. Twenty two (43.1%) respondents claimed proximity to place of residence as a major reason for preference for PPMVs, 6 (11.8%), mentioned familiarity with PMS owners, 5 (9.8%) said there was no delay in receiving treatment. All but one of the 14 patent and proprietary medicine vendors that were interviewed was male, with a mean age of 36.43 years. Four (28.6%) PPMVs claimed there was no major challenge in their business, 3 (21.4%) mentioned financial constraint. A comparative look at the total attendance records of both patent medicine shops and the health centres revealed poor level of utilization of health centres. Patent medicine shops are unique and very important in health care delivery especially in rural communities of Nigeria. There is need for a paradigm shift towards reorienting and integrating PPMVs and other related drug outlets into the mainstream primary health care delivery system. This will serve as an opportunity to improve the coverage and quality of the health system in Nigeria. Access to health; Rural communities; Patent medicine sellers; Primary health care. 2. Adetunji JA. Response of parents to five killer diseases among children in a Yoruba community, Nigeria. Soc Sci Med 1991; 32:1379-1387. 3. Adikwu MU. Sales practices of patent medicine sellers in Nigeria. Health Policy Planning. 1996; 11(2):202–205. 5. Amooti-Kaguna B, Nuwaha F. Factors influencing choice of delivery sites in Rakai district of Uganda. Soc Sci Med 2000; 50: 203-13. 6. Awodele OI, Adeniran A, Awodele DF. Pharmacovigilance amongst patent medicine vendors (PMVs) in Ekiti state, Nigeria. Int J Risk Saf Med. 2012; 24 (2): 65-72. doi: 10.3233/JRS-2012-0562. 8. Barnes J, Chandani T, Feeley R (2008) Nigeria Private Sector Health Assessment. Bethesda, MD: Private Sector Partnerships-One project, Abt Associates Inc.
10. Brieger WR, Osamor PE, Salami KK, Oladepo O, Otusanya SA. Interactions between patent medicine vendors and customers in urban and rural Nigeria. Health Policy Plan 2004; 19:177-182. 11. Brieger W, Unwin A, Greer G, Meek S. Interventions to improve the role of medicine sellers in malaria case management for children in Africa. London, UK and Arlington, Va., USA: the Malaria Consortium and BASICS for the United States Agency for International Development; prepared for Roll Back Malaria's Sub-group for Communication and Training and Malaria Case Management Working Group; 2005. 12. Brugha R, Zwi A: Improving the quality of private sector delivering of public health services: challenges and strategies. Health Policy Plan 2002; 13: 103-120. 13. Delta State, 2015. http://www.deltastate.com.ng/Delta-Articles/local-government-areas.html. Accessed 1/5/15. 14. Egboh A. Pharmacy laws and practice in Nigeria. Ikeja: Literamed Publications; 1984. 15. Erhun OO, Babalola MO, Erhun WO. Drug regulation and control in Nigeria: The challenge of counterfeit drugs. Journal of Health & Population in Developing Countries 2001; 4: 23-34. 16. Foster SD. Pricing, distribution, and use of antimalarial drugs. Bull World Health Organ 1991; 69: 349-363. 17. Frankenberg E. The effects of access to health care on infant mortality in Indonesia. Health Transit Rev 1995; 5: 143-63. 18. Grais RF, Dubray C, Gerstl S, Guthmann JP, Djibo A, Nargaye KD, et al. Unacceptably high mortality related to measles epidemics in Niger, Nigeria, and Chad. PLoS Med 2007; 4: e16. 19. Iweze EA. The patent medicine store: hospital for the urban poor. In The urban poor in Nigeria. Edited by Makinwa PK, Ozo OA. Ibadan, Nigeria: Evans Brother Ltd; 1987:317-322. 20. Jones G, Steketee RW, Black RE, Bhutta ZA, Morris SS, Bellagio Child Survival Study Group. How many child deaths can we prevent this year? Lancet 2003; 362: 65-71. 21. Kadobera D, Sartorius B, Masanja H, Mathew A, Waiswa P. The effect of distance to formal health facility on childhood mortality in rural Tanzania, 2005-2007. Glob Health Action (Global Health Action) 2012; 5: 1-9. 24. Nwangwu PU. 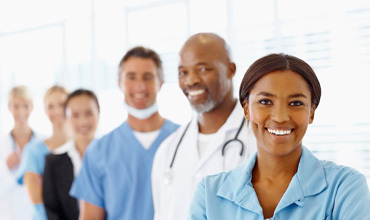 Health care delivery in Nigeria: contributions of Nigerians in diaspora. Address to the convention of Nigerian professionals in diaspora, at Paris, France. Accessed 15/04/2015. 25. Okonkwo AD, Okonkwo UP. Patent medicine vendors, community pharmacists and STI management in Abuja, Nigeria. (African Health Sciences) Afr Health Sci. 2010; 10(3): 253–265. 27. Peterson K, Obileye O. Access to drugs for HIV/AIDS and related opportunistic infections in Nigeria. Policy Project/Nigeria. 2002:1–45. 28. Ross-Degnan D, Goel P, Berman P, Soumeari S. Retail pharmacies in developing countries: A behaviour and intervention framework. Social Science & Medicine. 1996;42(8): 1155–1161. 29. Say L, Raine R. A systematic review of inequalities in the use of maternal health care in developing countries: examining the scale of the problem and the importance of context. Bull World Health Organ 2007; 85: 812-19. 30. Starfield B, Shi L, Macinko J. 2005. Contribution of primary care to health system and health. Milbank Quarterly 83 (3): 457–502. 31. Sule SS, Ijadunola KT, Onayade AA, Fatusi AO, Soetan RO, Connell FA. Utilization of primary health care facilities: Lessons from a rural community in southwest Nigeria. Nigerian Journal of Medicine 2008; 17 (1): 98-106. 33. Thaddeus S, Maine D. Too far to walk: maternal mortality in context. Soc Sci Med 1994; 38: 1091-110. 36. World Health Organization, 1990. The role of the pharmacist in the health care system. Report of WHO. Action Programme on Essential Drugs and Unit of Pharmaceuticals consultative group, New Delhi, 13–16 December 1988. Geneva: WHO; 1990. 38. World Health Organization, 1997b. Public education in rational drug use. Geneva: WHO; 1997b. WHO/DAP/97.5. Sub Saharan African is being faced with an increased burden of diabetes mellitus. High levels of undiagnosed diabetes mellitus have been reported which is a cause of concern since diabetes mellitus causes complications which are expensive to manage. However screening for diabetes mellitus has not received much attention due to overwhelming of healthcare facilities with multiple disease burdens. The review sought to address screening of diabetes in Sub Saharan Africa. Published journal articles and grey literature on screening of diabetes mellitus in Sub Saharan Africa were sought from pubmed, google scholar and google. Reports of screening of diabetes mellitus in a general practice setting were found. In a rural setting community based and home based strategies of screening of diabetes mellitus were reported to be feasible. Diabetes mellitus screening was also reported be possible to integrate it with communicable disease screening. Diabetes mellitus screening in Sub Sahara Africa is feasible. The integration of diabetes mellitus screening with communicable diseases is a worthwhile consideration in sub Saharan Africa taking into consideration the communicable disease burden. 1. American Diabetes Association. 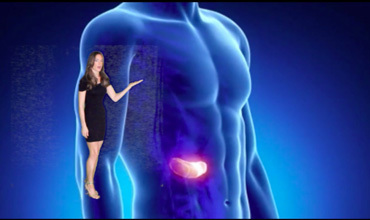 Screening for diabetes. (2002). Diabetes Care, 25 (1): 521-524. 2. Bos, M, & Agyemang, C. (2013). Prevalence and complications of diabetes mellitusin Northern Africa, a systematic review. BMC Public Health, 13:387. 3. Chamie, G., Kuwarisiima D., Clark, T.D., Kabami J., Jain, V. Geng, E., Petersen, M., Thirumurthy, H., Kamya, M.R., Havlir, D.V. Charlebois, E.D., & the SEARCH collaboration. (2012). Leveraging rapid community based HIV testing campaigns for non communicable disease in rural Uganda. PLoSONE, 7(8): E43400. 4. Chinenye, S., & Young, E. (2011). State of diabetes care in Nigeria: A review. The Nigerian Health Journal, 11 (4): 101-106. 5. Gill G. V., Mbanya J.-C., Ramaiya K. L. & Tesfaye S. (2009). A sub-Saharan African perspective of diabetes. Diabetologia, 52:8–16. 6. Hall, V., Thomsen R.W., Henriksen O., & Lohse N. (2011). Diabetes in Sub Saharan Africa 1999-2011: Epidemiology and public health implications a systematic review. BMC Public Health, 11: 564. 7. Ministry of Health and Child Welfare Government of Zimbabwe, University of Zimbabwe, World Health Organisation & United Nations Children’s Fund. (2005). National Survey Zimbabwe Non Communicable disease risk factors report. 8. Ogbera, A.O., Kapur A., Odeyemi, K. Longe-Peters, K. Adeyeye, O.O., Odeniyi, I., 7 Ogunnowo.(2014). Screening for diabetes mellitus and human immunodeficiency virus infection in persons with tuberculosis. Journal of prevention Medicine and hygiene, 55: 42-45. 9. Oyegbade, O.O., Abioye-Kuteyi, E.A., Kolawole B.A., Ezeoma, I.T., & Bello, I.S. 2007. (2007). Screening for diabetes mellitus in a Nigerian family practice population. South African Family Practice, 49 (8):15. 10. Pastakia, S.D. Ali, S.M., Kamano, J.H., Akwanalo, C.O., Ndege, S.K., Buckwalter, V.L., Vedanthan R., & Bloomfield, G.S. (2013).Screening for diabetes and hypertension in a rural low income setting in Western Kenya utilizing home based and community based strategies. BioMed Central Globilization and Health, 9:21. 11. Peer, N, Steyn K., Lombard, C., Lambert E, V., Vythilingum, B., & Levitt, N. S. (2012). Rising Diabetes Prevalence among Urban-Dwelling Black South Africans. PLoSONE, 7(9): e43336. 12. Renzaho, A. M.N. (2015). The post 2015 development agenda for diabetes in sub Saharan Africa: challenges and future directions. Global Health Action, 8: 27600.